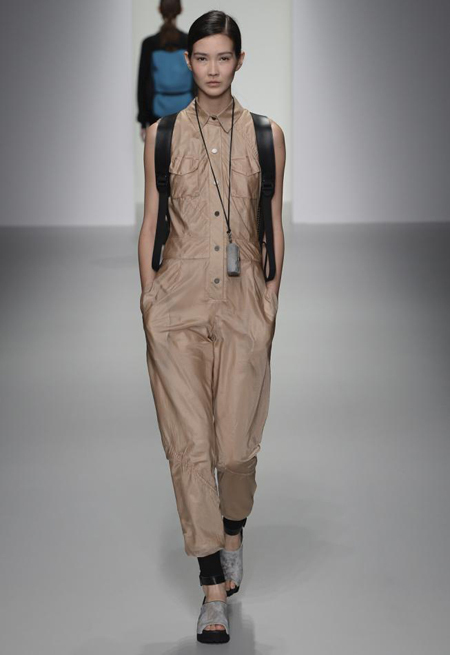 The British designer Christopher Raeburn is renowned for creating designer clothes from re-appropriated military fabrics. 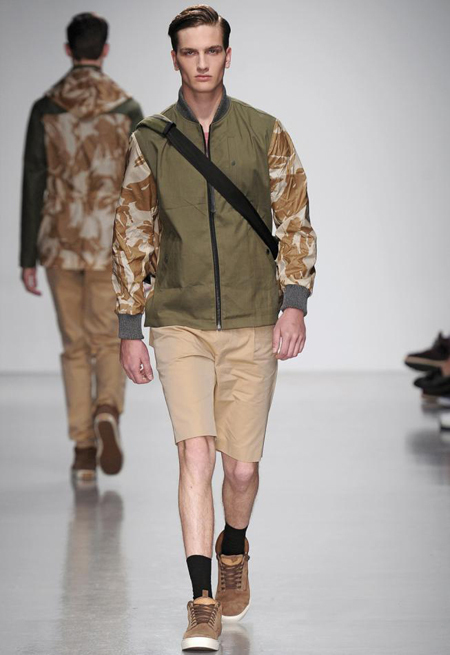 His spring/summer 2014 collection ‘Sandstorm’ is inspired by the uniform of World War II Commandos of the Long Range Desert Group. 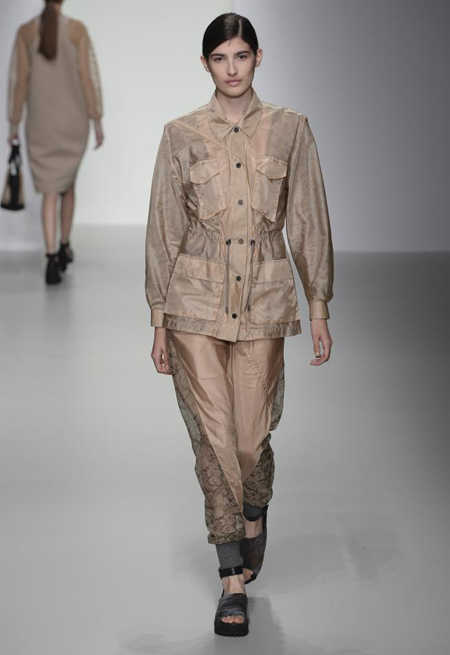 As well as experimenting with new fabrics, Raeburn has a seasonal ‘Remade’ range which this summer includes reused camouflage bivouac sheet mixed with 1950’s original rubberised cotton for his Remade Bomber and Field Jacket. 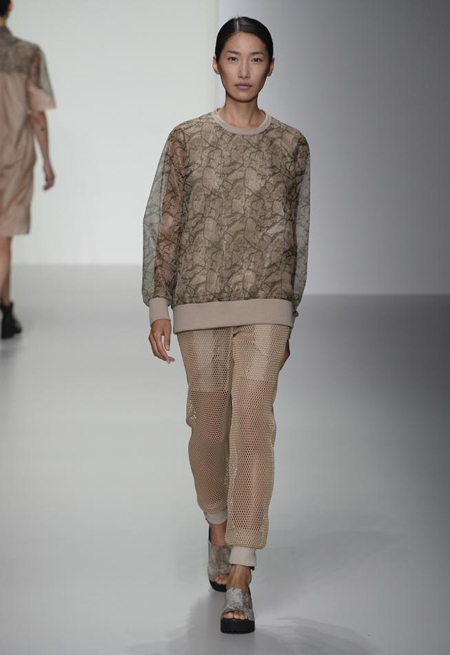 Sand coloured military parachutes and army mesh have also been re-appropriated. 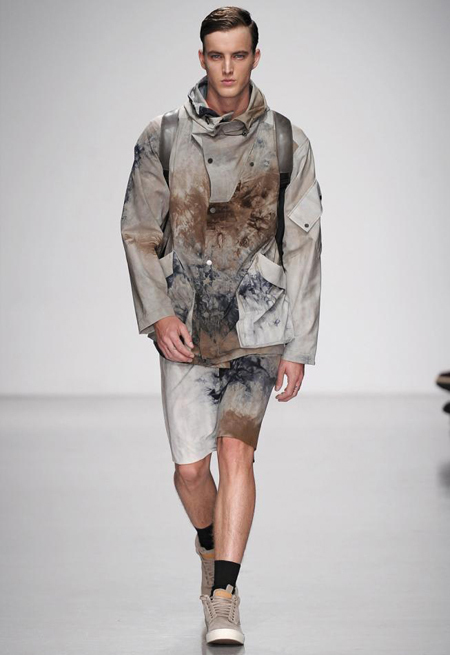 Pictured above – Remade Jacket.